It's that time again for our blog circle of mothers and friends to document a day in the life of our littles! It has been a busy month, lot's of new clients (yay!) and so much client "work", that while I had hoped to capture something truly out of the ordinary, what actually happened was I followed my one year old around the house for a morning and captured it. That's it. Not very exciting, but they mean a lot to me. So, yet again, this project teaches me to savor the beauty in the seemingly ordinary. Please be sure to follow the circle around when you've finished reading this post! 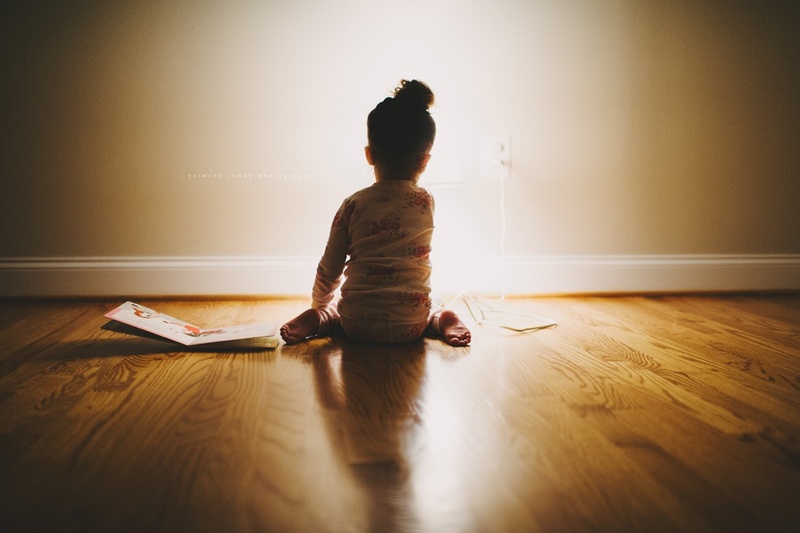 This month I documented 5 minutes of my little one enjoying her brand new easel. We've been suffering from a major case of the blahs from this crazy long winter and needed something new to do indoors! When you've finished the post please be sure to follow the circle around!